Montjuic is the 570 foot hill located just south of Barcelona's Old Town. 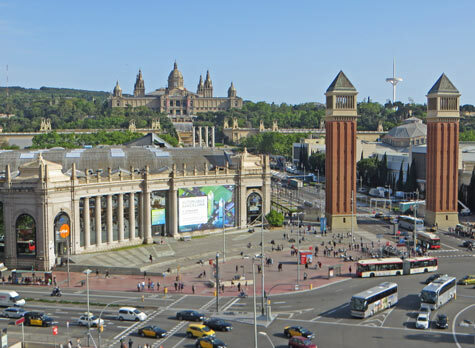 The Montjuic District includes attractions on the hilltop plus others located near Placa d'Espanya. Top attractions in the Montjuic District include the Royal Palace (National Art Museum), the Olympic Stadium, Magic Fountain and Barcelona Arenas.